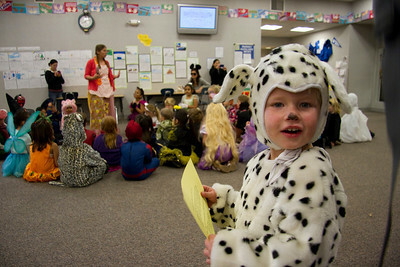 Max barking at everyone as he goes by. 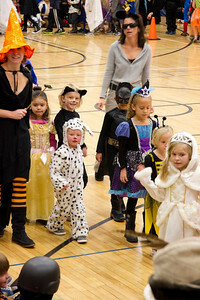 He was allowed to walk with the kindergarten class. 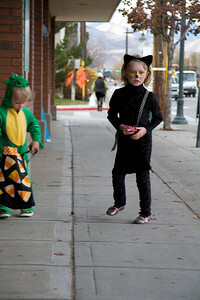 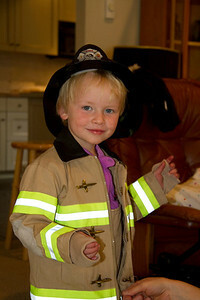 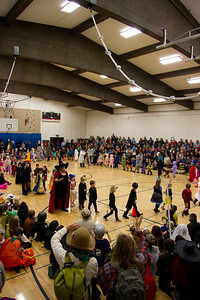 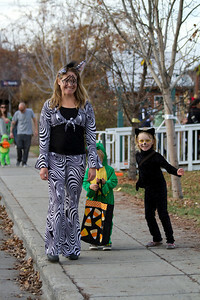 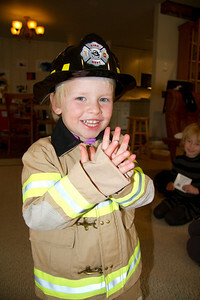 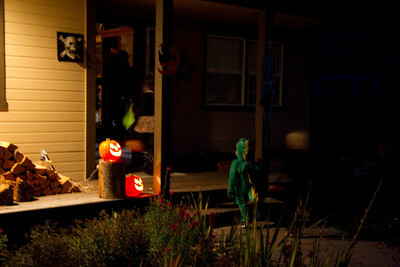 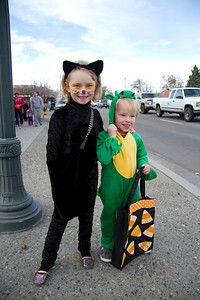 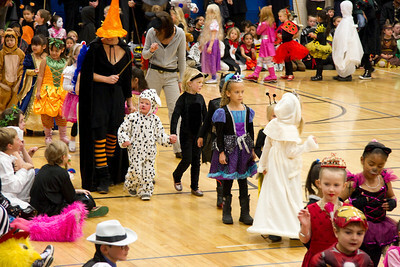 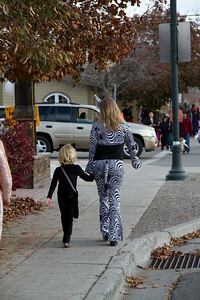 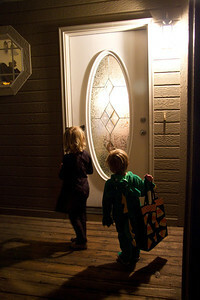 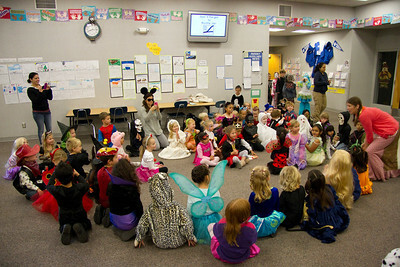 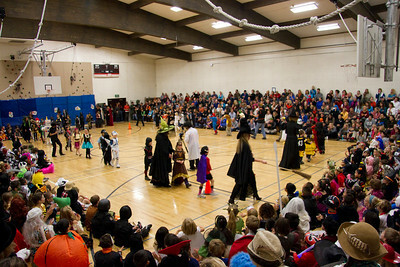 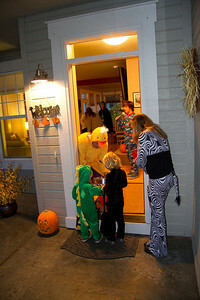 On the streets of Hailey for the early in-town tirck or treating. 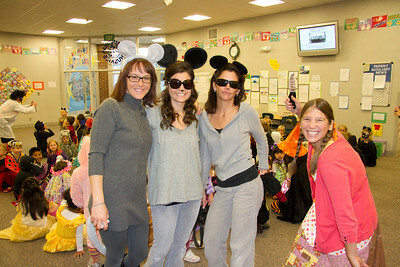 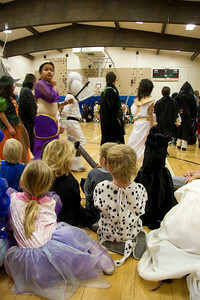 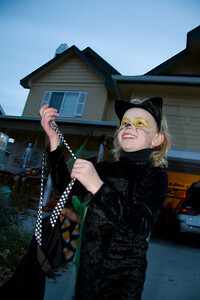 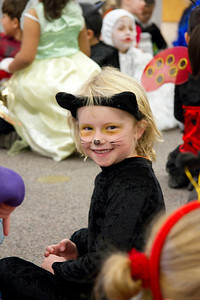 The panther is excited to leave the Flood party and head out to get some candy. 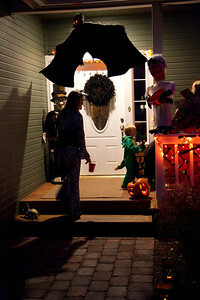 Max heads up to a well decorated house.